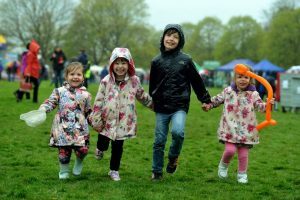 Welsh Hearts opens its doors to all families on Bank holiday monday for a fun-filled free event. Welsh Hearts will be opening its doors to all families this Bank Holiday Monday for a free family event. Our May Day Carnival promises to be a ton of fun for the whole family, with special appearances from loved characters such as the Teenage Mutant Turtles, Igglepiggle and Upsy Daisy, Anna and Elsa from Frozen, Jake and Izzy, and a few more surprise characters! There will also be lots of entertainment, food and craft stalls and free CPR training and Defibrillator demonstrations. Don’t miss the action. Bring your picnics and your folding chairs, and get ready for a great day out this Monday 7th May, 2018 from 11am to 4pm, with warm weather in the forecast! Food stalls including Hog roast…and much more. In case of a cardiac arrest, the closer you are to a defibrillator, the better. That is because survival rates can rapidly drop with every minute that passes by without the administration of CPR and use of a Defibrillator. They are a lifesaving equipment that should be readily available in every location with high footfall and accessible to the general public. 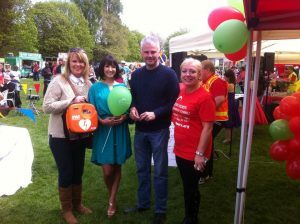 The charity’s plan is to place at least 100 defibrillators in Cardiff by the end of the year. 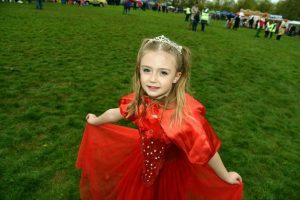 Make a date with Welsh Hearts to attend the Mayday Carnival this Bank Holiday Monday and support a fantastic cause too!